Story: Playing high school basketball takes more than skill, perseverance, discipline and teamwork - especially when you play for Coach Ken Carter. Just to step on Carter's court takes a signed contract that assures him you'll be performing at your best on the court and in the classroom. 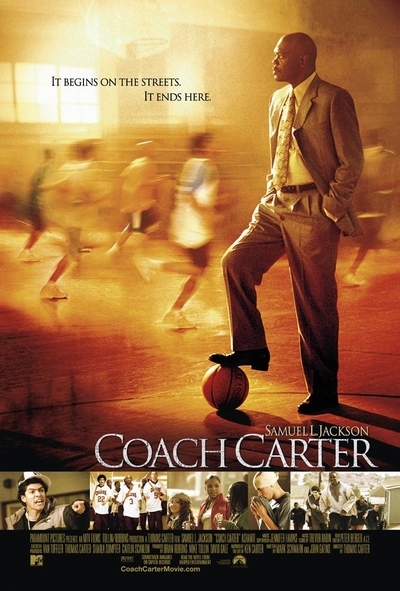 On Coach Carter's watch, it's not just about winning a basketball game...it's about his team's future. That's why, when some of Carter's players let their grades slip, he chooses to padlock the gym, keeping the undefeated team from practicing and from playing. Standing up to school officials who oppose him, not to mention a town full of angry parents, many of whom see basketball as the only way for their sons to get out of Richmond, Carter refuses to back down. Having attended Richmond High himself, he has literally been in those boys' shoes. Like them, he loved playing the game. And even though he was a very accomplished player, and still held many of the school's records, it is education - not basketball - that Carter feels led him to be the man he is today. Encouraging others to put education before recreation, Carter wants to leave a legacy. He wants players to see beyond their hoop dreams and see a future with endless options and possibilities.